Three-dimensional printing is no longer just the domain of well-equipped research and design shops in mid-size and large companies, schools, government, military and aerospace. Printers cost less now, and so do 3D print services, so small companies, startups, entrepreneurs and hobbyists are taking advantage of 3D printing for prototyping and modeling, low-volume production, creating branding and marketing tools and much more. 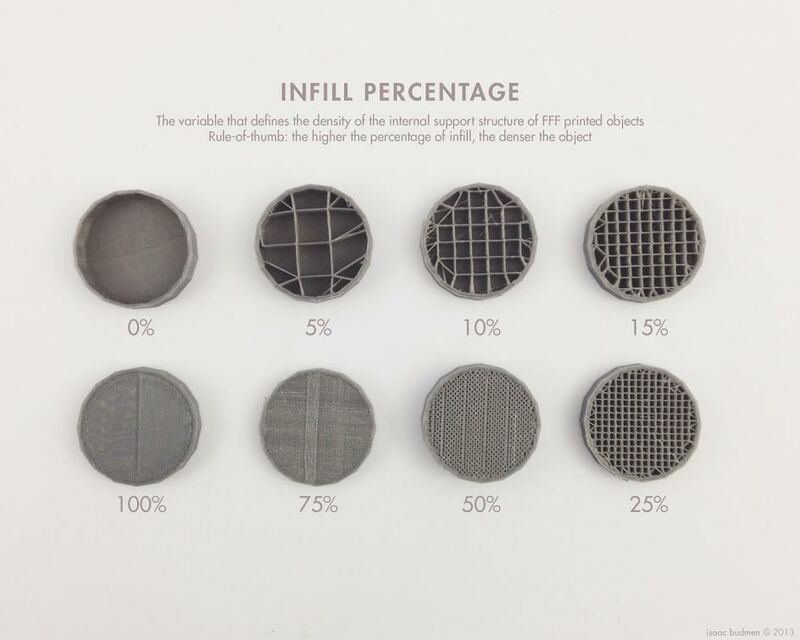 Which 3D print type is right for you? It starts with comparing FDM, SLA and SLS 3D printing – what they are and their pros and cons. This guide will assist those who are quite new to 3D printing as well as those with some experience who are considering the best type for their specific project. Here is FDM vs SLA vs SLS in all key areas. All three types are known as additive manufacturing (AM) processes. An object is manufactured by producing one layer after another, fusing the layers together as each is added until the design is complete. FDM, SLS and SLA were all developed for rapid and relatively inexpensive prototyping – quickly making a prototype without the enormous cost and significant time required to make a prototype using conventional and mechanical means rather than employing a digital process. CAD software allows the user to design three-dimensional objects or groups of objects on a single parts tree. Exact measurements, wall thicknesses, infill percentages and other key specifications can be determined and programmed. Computer aided manufacturing (CAM) software can also be used for this purpose. The question most start with is, “what is 3D printing?” Here is a brief explanation of each of these types. FDM Printing: The acronym stands for fused deposition modeling. FDM is a trademarked term, so it is also known as fused filament fabrication, or FFF. In FDM, solid material such as ABS plastic and a support material are fed to a print head that contains heaters to produce molten material. In most cases, FDM 3D printer heads move side to side and front to back – the X and Y axes. The build platform moves up and down on the Z axis, though some print heads move vertically while the platform is stationary. Molten material is extruded one layer at a time to bond with the previous layer and form the object while support structures of a separate material, one that will easily break loose from the design material, are printed at the same time. SLA Printing: This acronym stands for stereolithography (sometimes as two words or hyphenated or simply SL). Instead of heaters and molten material, the printer employs an ultraviolet (UV) laser in the head which moves on X and Y axes. The laser is directed at a vat of photosensitive polymers (or photopolymers). A build platform descends one layer at a time into the vat, and the surface layer of liquefied polymer resin is cured to form the next layer. This is the “top-down” method of traditional stereolithography. Many SLA machines now print from the bottom up as a UV laser is directed at the bottom of a transparent vat of polymer. Like FDM printing, support structures are often part of the design and are removed later. Unlike FDM, the supports are built from the same liquefied polymer material. SLS Printing: This acronym stands for selective laser sintering and is often used without the term “printing” added. This type of additive manufacturing uses a laser, like SLS, but the laser is a powerful CO2 laser rather than UV light. Different than both, SLS employs powders formulated to fuse easily and permanently into a solid without first becoming molten. A selective laser sintering printer includes a powder storage tank, and a piston moves up one layer-width at a time. A roller pushes powder onto the build tray – or over the part being printed – after each layer is compressed and sintered by the laser. The platform descends in an enclosed powder bed one layer’s width each time this occurs. FDM and SLA require support structures for the object. In SLS, the powder on the build platform acts as the support. SLA printing: The piece is gently scraped from the build platform. It is placed in a UV curing oven followed by the removal of any support pieces. SLS printing: The piece is removed from the bed. Excess powder is removed and brushed off the piece. The work is completed by either bead blasting or power washing the part. Knowing the types of materials available to you will assist you in choosing the right 3D print technology for your purpose. FDM printing: Mostly thermoplastics are used including ABS, PLA, nylon/polyamide, PET, PETT (T-glase) and polycarbonate. In addition, metals, wood/polymer composites and ceramics are used. Because the process basically involves melting a material and then laying it down a layer at a time using CAD software, even chocolate and sugar are used. SLA printing: A range of proprietary resins are used. Your 3D printing service will have a list of materials with a description of the properties of each. Plastics, metals, ceramics and many plastics are employed. SLS printing: Metallic blends are the most common, but SLS can also be used with polymers such as nylon, glass and flexible materials that mimic rubber. FDM/FFF printing: This is the most affordable type of printer, and the material is cheaper too. That’s what makes it a great choice for models, toys, 3D logo design, gifts and other items that don’t require industrial strength or specific material requirements. FFF can handle geometrically complex designs, as can SLA and SLS processes. SLA printing: Stereolithography is very accurate, so it is the 3D print type of choice when detail is important and tolerances are tight. The accuracy means that design flexibility is outstanding, so SLS is used to print an impressive range of shapes. Materials used in stereolithography are water-resistance; some are waterproof. SLS printing: Selective laser sintering is also accurate, and design flexibility is outstanding. A wide range of materials can be used, and many of them are quite affordable. SLS is the preferred production method when moveable and “live” parts such as hinges are part of the design. No single 3D print type can do it all. Here are the potential downsides to each. 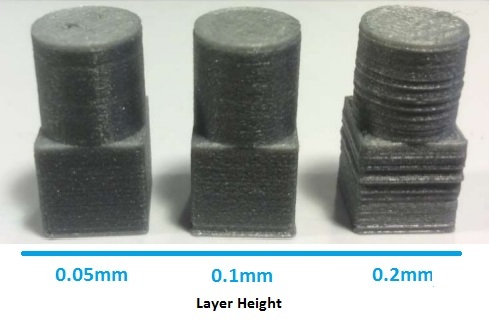 FDM printing: FDM/FFF prints in thicker layers than SLA and SLS, so the layering is visible and creates overhang or steps, especially on slanted sides. Accuracy, while not terrible, is nowhere near as precise as the other two. Parts printed using FDM technology are about half the strength of injected molded parts. Finally, your range of specialty materials available with FFF is limited. SLA printing: As with FDM, your material options are limited with SLS, in this case to liquefied polymers. If you’re printing electrical components, for example, you might not find a suitable material to use. SLA printing is significantly slower than FDM. The liquefied polymers used are also extremely expensive. SLS printing: The powerful lasers in sintering printers are expensive, as is the rest of the technology, so the equipment costs are high. This pushes up costs for those using a 3D print service. Like SLA, SLS printing is slow due to the tremendous complexity and precision required. Which printer you choose for your company, school or shop depends primarily on what you’ll be printing and who you’ll be printing it for. Fused deposition modeling / FDM is ideal for hobbyist and commercial printing, and is a good choice when the material used is an engineering-grade plastic. Industries using fused fiber fabrication include aerospace, automotive and bio-medical fields. FDM is used for low-volume, end-use parts too. It is also the 3D printer of choice for creating toys, marketing products such as logos and mascots and any time that low cost is a major factor. Stereolithography / SLA is a good choice when precise modeling is important to give the manufacturer or customer a clear indication of what the design will look like, its ergonomics and whether the design meets specifications. Models can also be tested for aerodynamics and optical stress analysis (OSA). SLA is popular for making medical and dental models in bio-medical engineering and is an effective means of production for casting and tooling. SL has additional application for aerospace, UAS/UAV, the energy industry, tooling master patterns and electronics. Selective laser sintering / SLS has a range of applications. Like SLA manufacturing, SLS is used to produce functional prototypes that can be tested. It’s an effective choice for living hinges, snap fits, electronic packaging and high-temperature components. If you’re unclear on which type of 3D printing to use for your project, a 3D printing pro will have the answers you need. Contact us today at Makexyz, and we’ll help you through the entire process.